When the summer is around the corner in Dubai, most of us start looking for ways that will help to keep the interior and patio cool. People often select the air conditioning system. Such technology might be able to keep the temperature of the house cool but we all know that it is one of the major causes of ozone depletion. 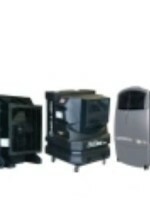 Besides, the use of these A/C’s for outdoor cooling is not efficient specially energy consumption wise. So what about evaporative cooling and evaporative coolers? 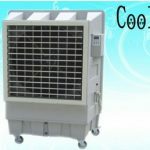 Recently, people are attracted towards the medium evaporative coolers. This air cooler is a perfect way to keep the temperature under control in the most energy efficient way. 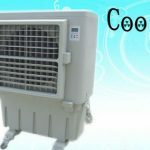 There are different types and styles of evaporative coolers or cooling machines available in the UAE market, but the best one is the medium evaporative coolers. It has the ability to maintain the temperature of a bog house. Some of the interesting features that you might come across are. 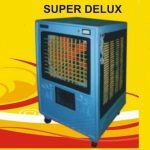 The biggest attraction of the medium evaporative coolers is that it is eco-friendly. There is only evaporation of water in the system, which means that you will not have to deal with any type of harmful emissions. The cooler will not emit CFCs or greenhouse gases. The medium evaporative coolers are cost effective. Despite have a proper cooling system the device is available at an affordable cost. It has been equipped with many interesting features and some of the devices might have a higher rate due to the introduction of some latest features. 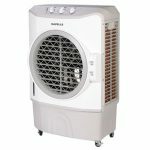 One of the biggest benefits of buying the medium evaporative coolers is that it will make no noise. Most of the old coolers used to make noise but the latest explorative coolers quiet operation. The atmosphere will be maintained and you will not listen to a mummer. Evaporative coolers are energy efficient. There is no conversion of internet system and on the pumps, require a little amount of electricity. Once the water starts flowing and the temperature is controlled, the cooler will automatically stop. It will help you to save up to 80% on the electricity bills. 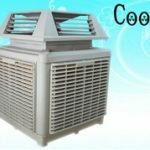 The medium evaporative air coolers are not fixed. They have small wheels and you can easily take the cooler in any area you prefer. It means when the temperature changes you can easily store the cooler in a proper place so it can be protected from dust. There are many styles and shapes of medium evaporative outdoor air coolers available in the UAE. It is important that you select the one, which meets your requirements and budget perfectly. Once you will start using the outdoor cooler you will notice that it is easy to manage and maintain.